We’re absolutely stoked to announce that the awesome Aussies Mannequin Death Squad are heading back to the UK in September to party hard in #Brighton #London #Hull #York #Manchester #Sheffield #Glasgow #Edinburgh #Doncaster #Stafford & more TBC!!! In addition to tracks from 2016’s EP ‘Eat Hate Regurgitate’, the band will be debuting tracks from their forthcoming debut album which is due to drop early 2018. Check out the venue websites for advance tickets and prepare to get sweaty! 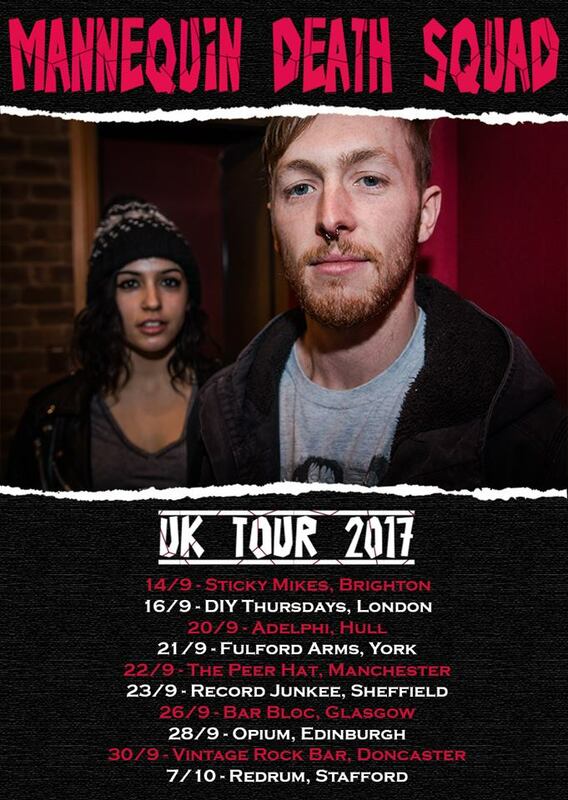 This entry was posted in News-Posts and tagged 2017, mannequin death squad, UK tour. Bookmark the permalink.